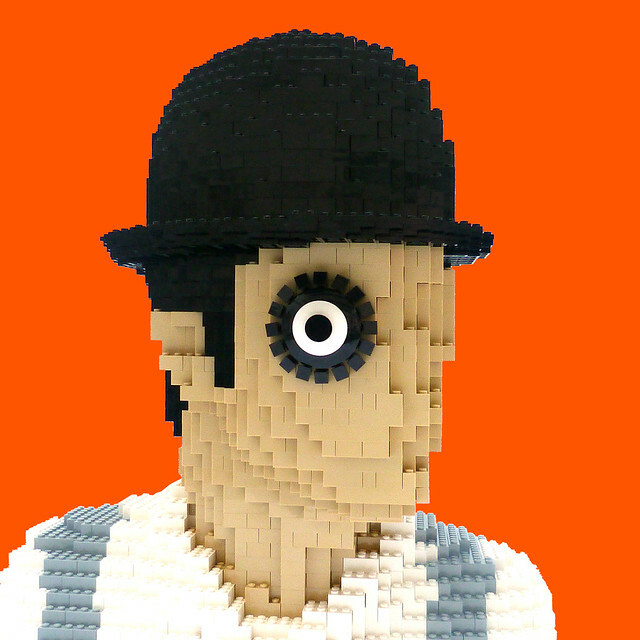 Anthony Burgess' book A Clockwork Orange has had many covers over it's lifespan, but this one is perhaps the most iconic, and it's certainly my favorite. So to see it perfectly reimagined as a MOC is greatly satisfying. Builder daveh_design takes the starkly 2D graphic design by David Pelham and brings it into startling relief, and the results are stunning.